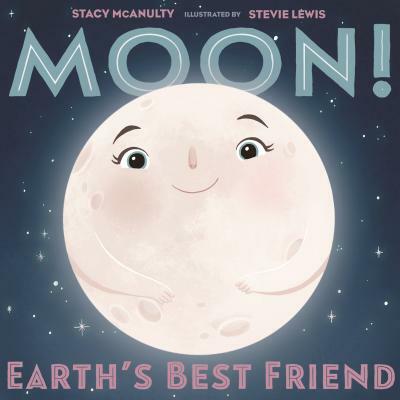 From writer Stacy McAnulty and illustrator Stevie Lewis, Moon! Earth's Best Friend is a light-hearted nonfiction picture book about the formation and history of the moon—told from the perspective of the moon itself. Meet Moon! She's more than just a rock—she’s Earth’s rock, her best friend she can always count on. Moon never turns her back on her friend (literally: she's always facing Earth with the same side!). These two will stick together forever. With characteristic humor and charm, Stacy McAnulty channels the voice of Moon in this next celestial "autobiography" in the Our Universe series. Rich with kid-friendly facts and beautifully brought to life by Stevie Lewis, this is an equally charming and irresistible companion to Earth! My First 4.54 Billion Years and Sun! One in a Billion.